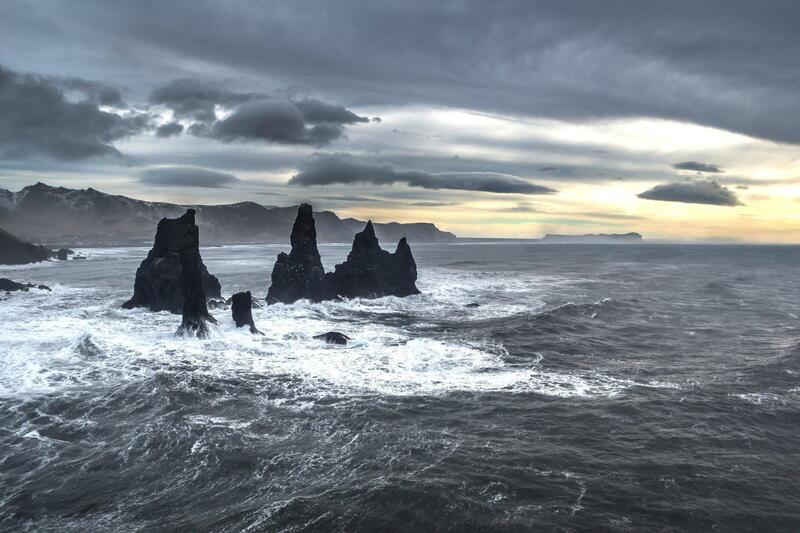 Combining the highlights of Iceland’s Golden Circle and South Coast all into one day, this tour will leave you in awe of Iceland’s raw and rugged beauty. 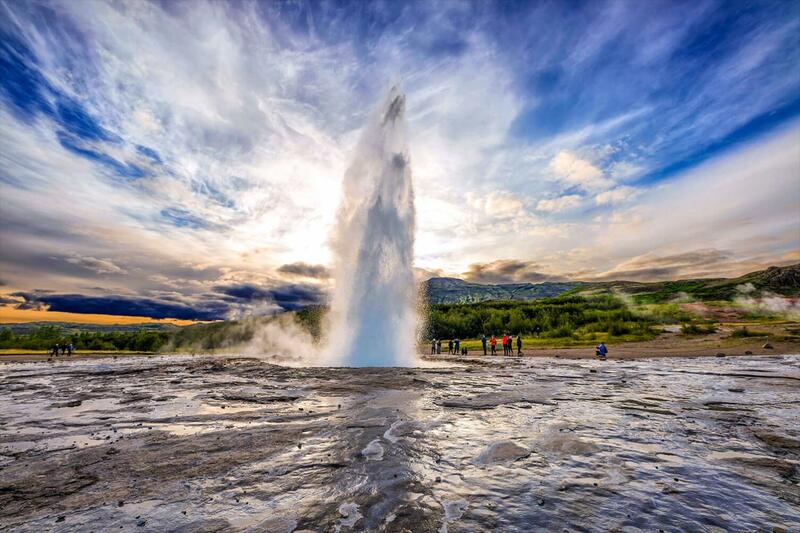 Embark on a journey to experience the tectonic plates, geothermal geyser area, black sand beach, basalt columns and the many waterfalls on the doorstep of Reykjavik. The journey begins on the comfortable Gray Line Iceland coach heading east and into the UNESCO designated world heritage site, Thingvellir National Park. 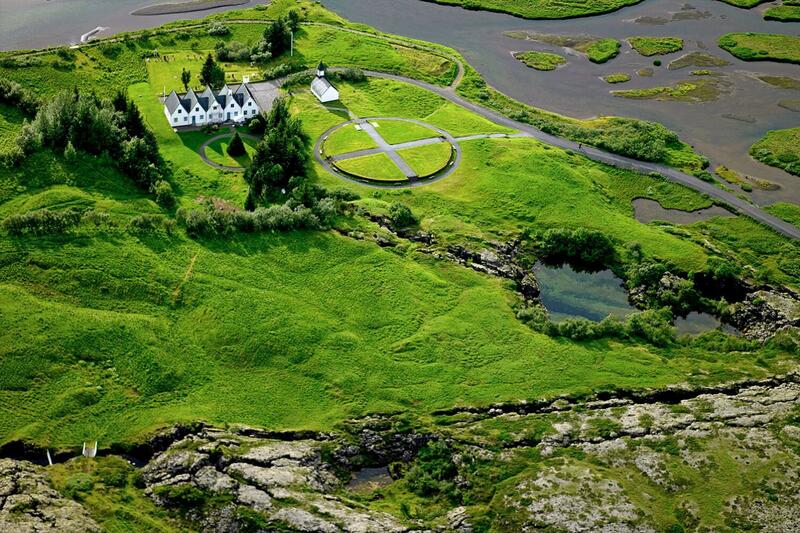 The birthplace of Althingi, Iceland’s parliament founded in 930 AD, this is also where the tectonic plates are slowly pulling apart to create a rift valley. 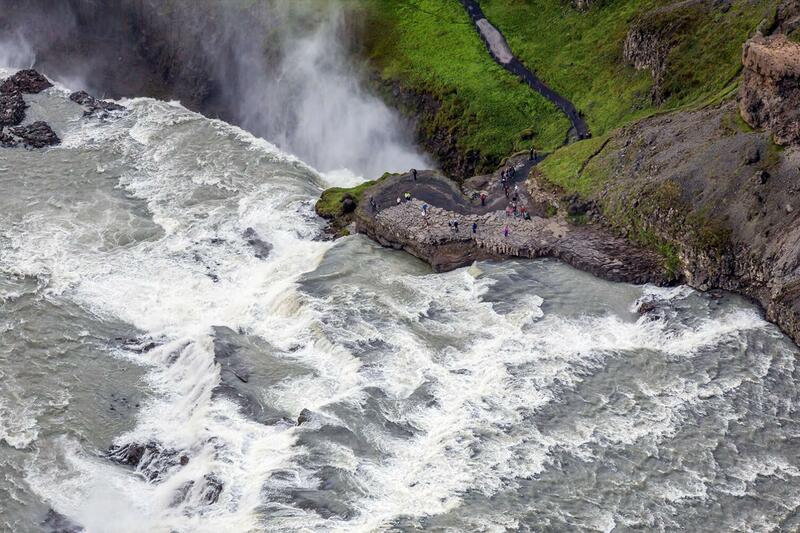 Deep in the interior of the Golden Circle is the colossal Gullfoss waterfall where several walkways take you around and up close to the two tiers of gushing water. 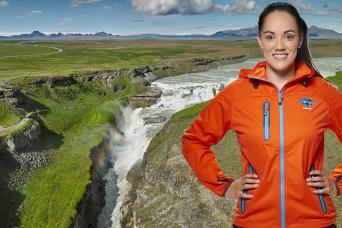 Continuing along the scenic route, the next stop is home to “The Great Geysir” hot spring—the namesake of all geysers. The geothermal area is where the active Strokkur geyser blasts boiling water high up into the air every few minutes. 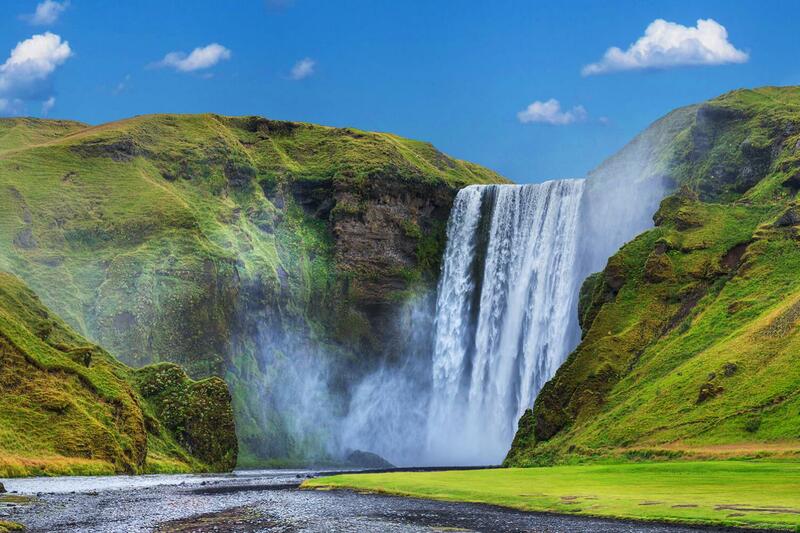 Heading onwards to the picturesque South Coast and the captivating Skógafoss waterfall, the stairs along the side allow you to walk right to the top for a spectacular view of the falls and the valley below. 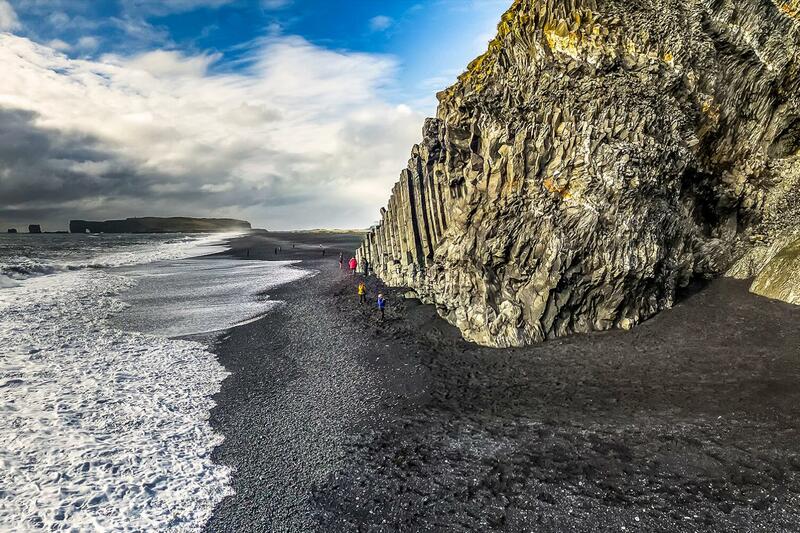 At the next stop, black pebbles gradually turn into sand on the mystical Reynisfjara beach where the towering basalt rock formations can be climbed and the otherworldly Reynisdrangar sea stacks can be seen just offshore. 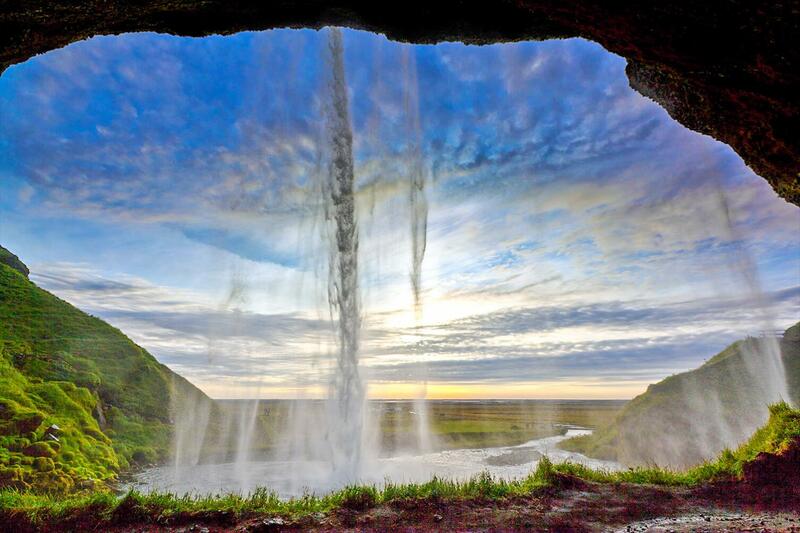 To end the magical day, you are taken to Seljalandsfoss waterfall where you have the opportunity to walk behind the waterfall and feel the spray on your skin—a true feast for the senses. Loaded with historical facts and captivating tales, your knowledgeable Iceland tour expert will fill your imagination and bring the astonishing landmarks to life. The pictures you take on your journey with Gray Line Iceland will become all the richer with the memories and stories behind them. * Please have your e-voucher or ticket out to show the driver. * Shuttles pick up passengers 30 min. before the scheduled tour departure time. * To help ensuring the quickest possible collection we kindly ask you to stand by for pick up in front of your hotel, guest house or at your designated bus stop when pick up starts. * Shuttles transfer passengers to the Gray Line terminal at Skarfabakki where passengers check in for their tour 15 min. before departure. * Returning from the tour, passengers are dropped off at either their pick-up point or the closest possible point.